This tale boasts an unusual protagonist, sharp plotting, and a large cast of full-bodied characters. An engaging mystery served with plenty of sociological seasoning. Sanderson covers that lost and lovely West Texas border country with grace and elegance. This book also contains a delightful cast of characters, finely drawn and fully developed, worked into an intricate plot that reflects the mores and conflicts of this multicultural country...a wonderful read. A solid mystery starring an intriguing bicultural cop with a degree in history who recognizes the polarities that define both his personal life and his job. Sanderson’s love for the border and its inhabitants is unmistakable. It's not a philosophical novel, but it raises philosophical questions. 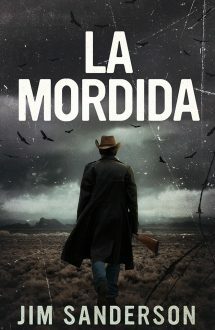 La Mordida is consistently readable and entertaining. Sanderson is a gifted prose stylist, and his descriptions of the Chihuahuan desert of West Texas are vivid and evocative. Barren indeed. And dry. And murderous.